We hope you've been practicing your cheers! 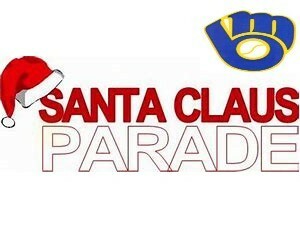 Our first Santa Claus parade is less than one week away! For those who would like to ride our float, please meet at the Aylmer Fairgrounds at 1pm on Saturday November 24th. Remember to dress appropriately for the weather,and bring your teammates, family & friends! The more the merrier :) All age groups are welcome to join - from Jr Blastball to Midget, we wanna see you there! Pick up arrangements for after the parade will be made on site. Don't forget to wear your promo wear & show your Brewers pride!